KIEV, Ukraine -- Arseniy P. Yatsenyuk, the prime minister of Ukraine, announced his resignation on Sunday in a surprise move that opened a new period of political uncertainty here. 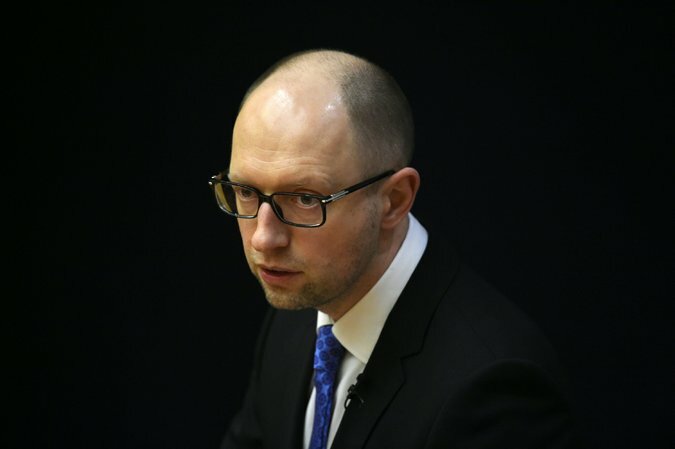 Arseniy P. Yatsenyuk signaled that he would attempt to smooth over cracks in Ukraine’s leadership after his resignation. Mr. Yatsenyuk, an economist backed by Ukraine’s Western allies, including the United States, came to power two years ago behind the wave of popular anger that culminated with the Maidan street protests, which led to the downfall of President Viktor F. Yanukovych. Mr. Yatsenyuk and Petro O. Poroshenko, who became president, emerged as the nation’s most prominent political figures. But the revolution’s leaders soon turned on each other. Although authority is supposed to be balanced evenly between the president and the prime minister, Ukraine’s Western allies eventually sided with Mr. Poroshenko and pushed Mr. Yatsenyuk to step aside. In a video released to television stations on Sunday, Mr. Yatsenyuk signaled that he would try to smooth over the cracks in the post-Maidan alliance. He said he would support as a candidate for prime minister Volodymyr B. Groysman, a member of Mr. Poroshenko’s political party and the current speaker of the Parliament, and would keep his party in the coalition after leaving office. “We cannot allow destabilization of the executive branch during a war,” he said. He emerged as a popular figure, but his support largely evaporated because of various scandals and missteps. A political ally, for example, was forced to resign from Parliament after it emerged that he was under investigation for money laundering in Switzerland. Mr. Yatsenyuk confronted tremendous challenges as prime minister, not least because of the Russian annexation of Crimea and military intervention in the east during his tenure. Ukraine’s morass of financial problems required a $40 billion international bailout package. Before Mr. Yatsenyuk’s appointment as prime minister in 2014, a leaked recording of a telephone conversation between Victoria J. Nuland, a United States assistant secretary of state, and the American ambassador in Ukraine, Geoffrey R. Pyatt, seemed to underscore the West’s support for his candidacy. “Yats is the guy,” Ms. Nuland had said. By this year, the West’s support had begun to wane. “Objectively, it is ridiculous to claim responsibility remains only with Yatsenyuk for the bad state of the economy and ongoing corruption,” Oleh Voloshyn, a consultant for the Opposition Bloc political party, which represents Russian speakers in Ukraine’s southeast, said in an interview. Having been a police officer and a prisoner, Mr. Lutsenko said, qualified him to oversee prosecutions. “I saw both sides of the coin,” he said. Thank you Mr. Yatsenyuk for your resignation now all you need to do is keep your promises on smooth over cracks in Ukraine's leadership and keep coalition together.